The Regina Catholic School Division provides access to technology for all teachers and students. Learning with technology connects us locally and globally and requires all users to understand the responsibility to use technology safely, legally, and ethically. This supports the vision of technology to enhance learning while stressing also the importance of each user’s responsibility as a digital citizen. The two lessons outlined on this webpage are an opportunity to discuss digital citizenship guidelines with the high school students. All materials including presentations and handouts are included on the web pages. Each of these two lessons references the main elements of digital citizenship as well as the specific policies and guidelines provided by Regina Catholic School Division. 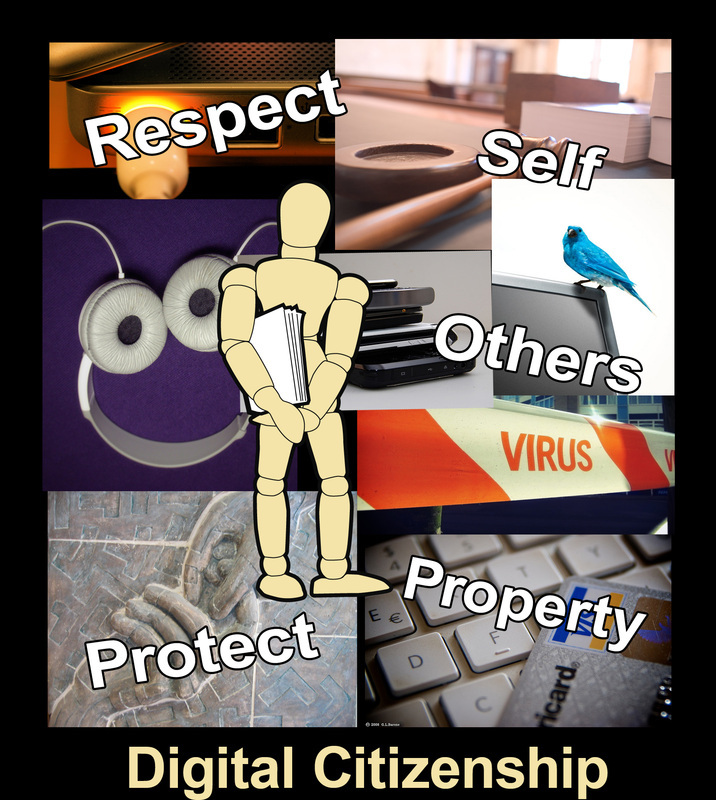 Lesson One - What is a Digital Citizen? There are many additional lessons that should be taught in combination with tools or learning opportunities in the classroom which may include creative commons and copyright laws, digital etiquette, effective search techniques, and online safety. The additional resources section highlights many resources for teaching and learning about digital citizenship.